Create (6) Unique Layered Ornaments to display on your tree this Holiday Season! 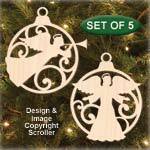 Ornaments measure 4-1/2" in diameter and are designed to be made from cost effective 5/32" thick Finnish Plywood. 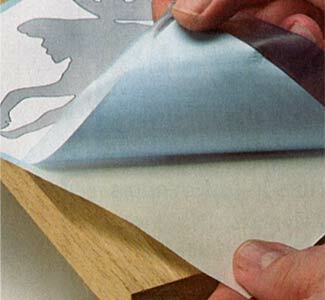 Stain, seal or leave natural to fit in with your decor. 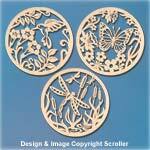 Requires (2) 16" x 16" x 5/32" thick Finnish Plywood Panels (#FPLY516) available below.